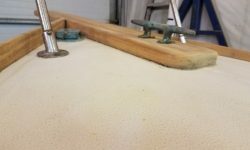 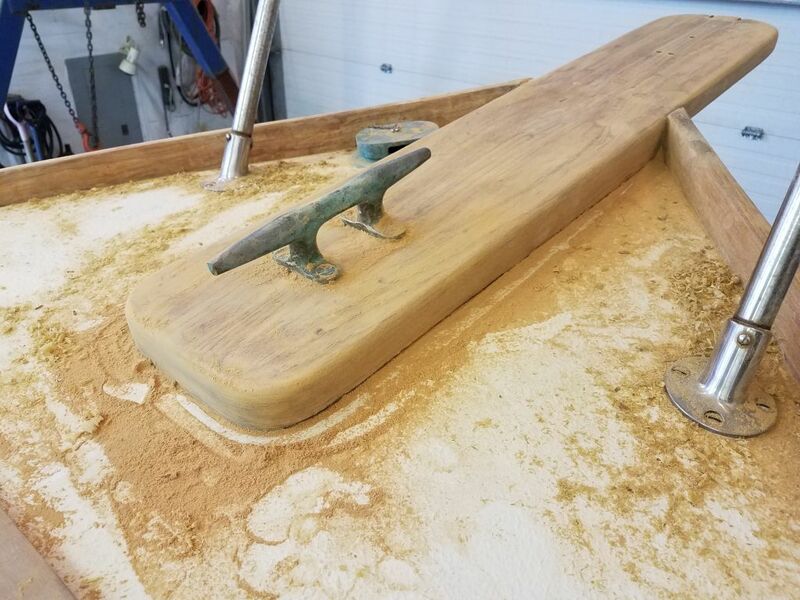 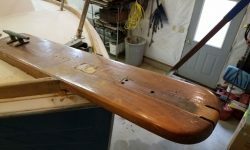 I spent the bulk of the day sanding the newly-stripped toerails and other areas, working through the grits to 220 and cleaning up and smoothing the raw wood to prepare for varnish. 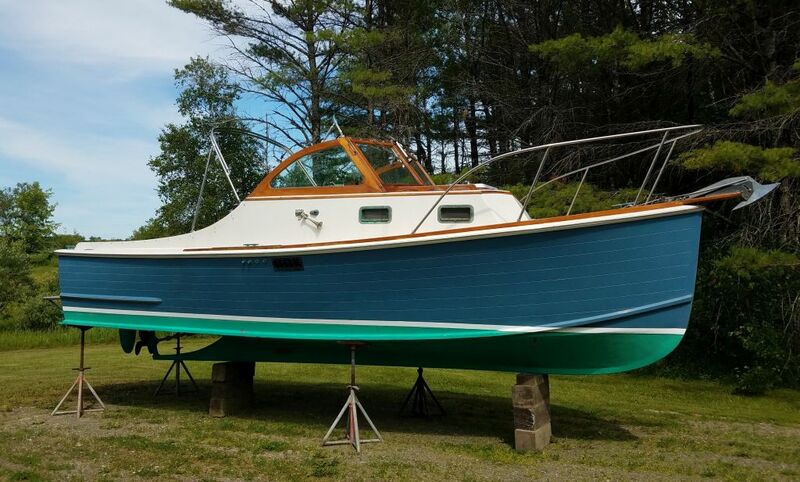 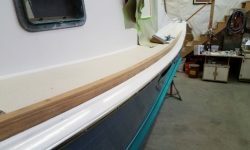 I started on the starboard side aft and worked forward to the bow. 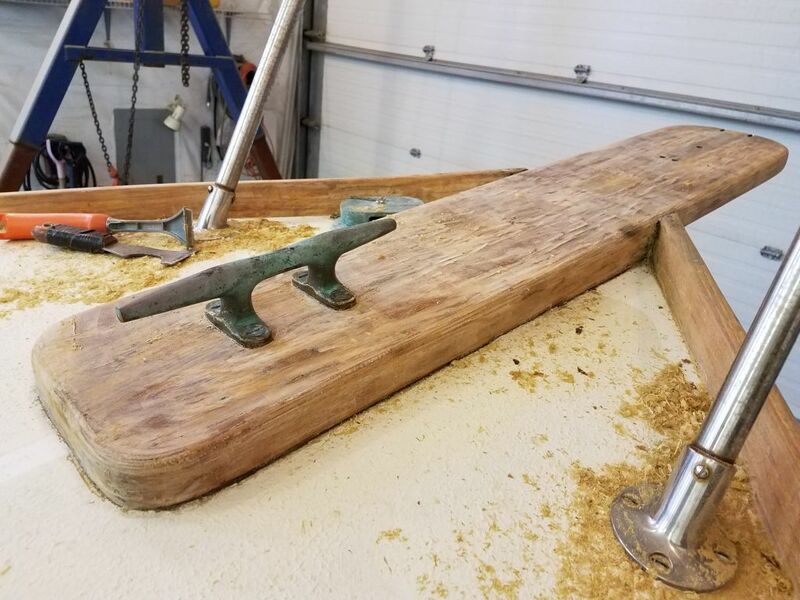 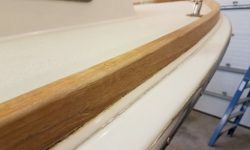 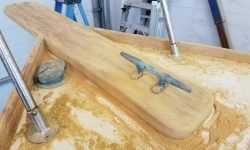 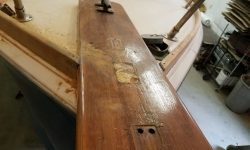 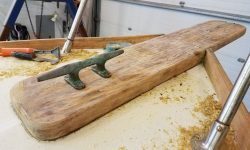 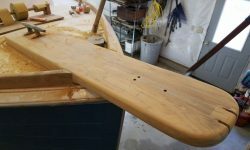 When I stripped the toerails earlier, I’d left the bow platform alone, not sure whether it required stripping or not, but as I regarded it skeptically now I knew I had to strip the old finish, which looked worse than ever. 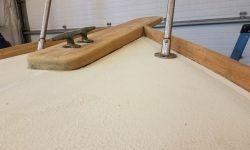 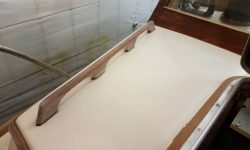 So after removing the anchor roller, with heat gun and scraper I removed the varnish from all sides of the platform. 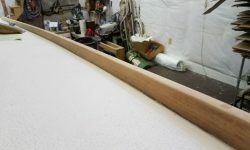 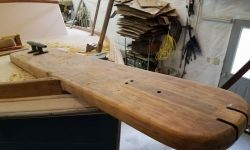 Afterwards, I sanded the platform to 220 and continued down the port side toerail to finish up this round of sanding. 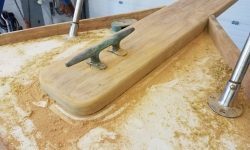 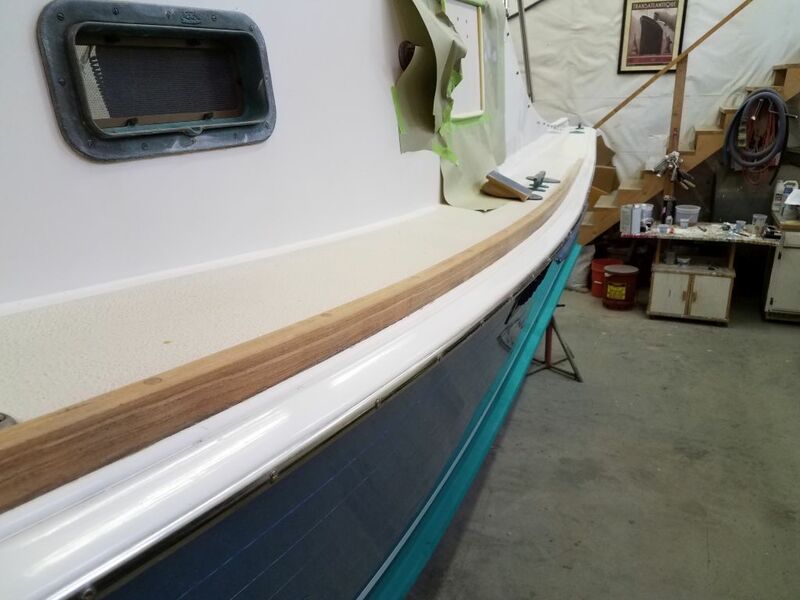 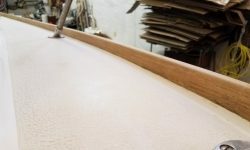 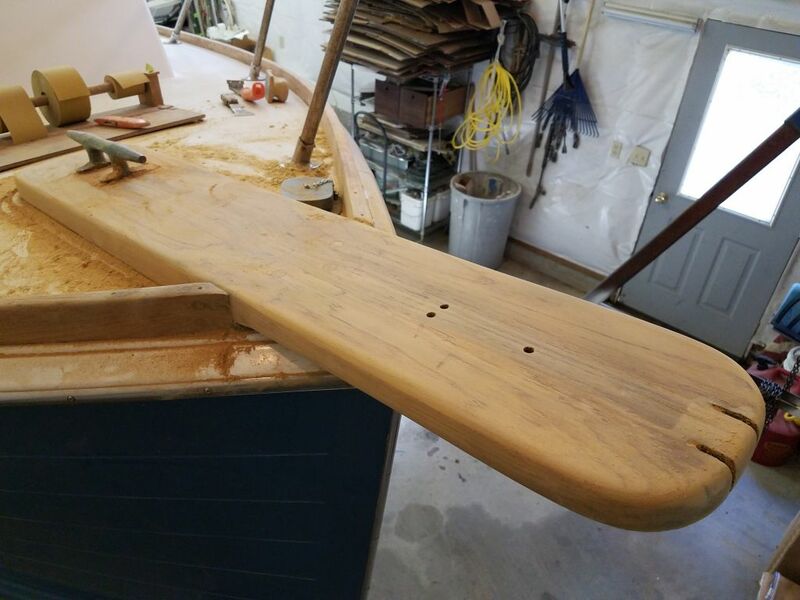 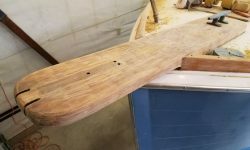 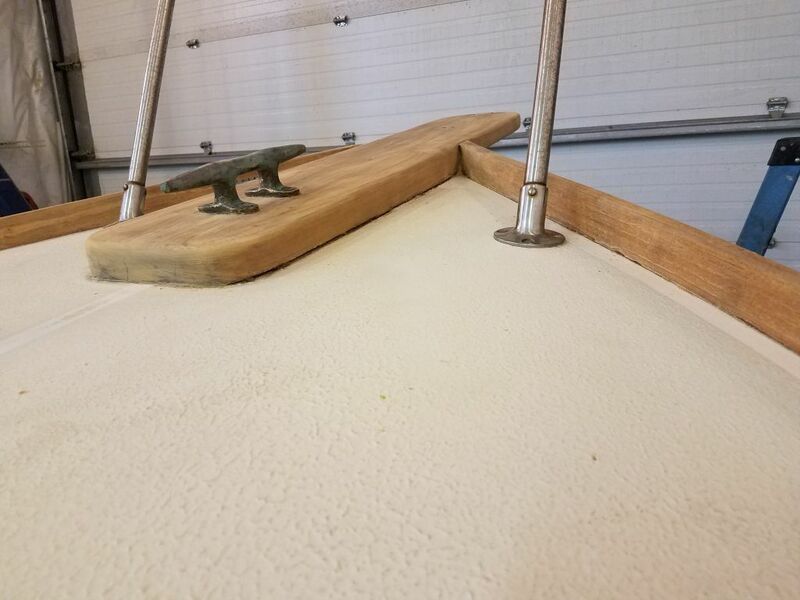 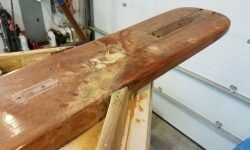 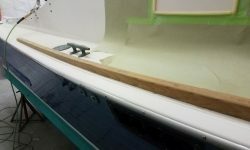 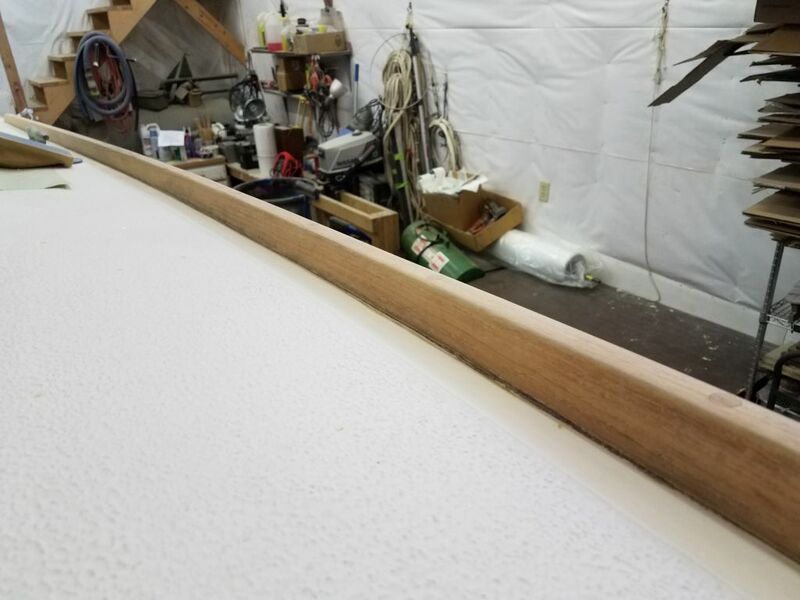 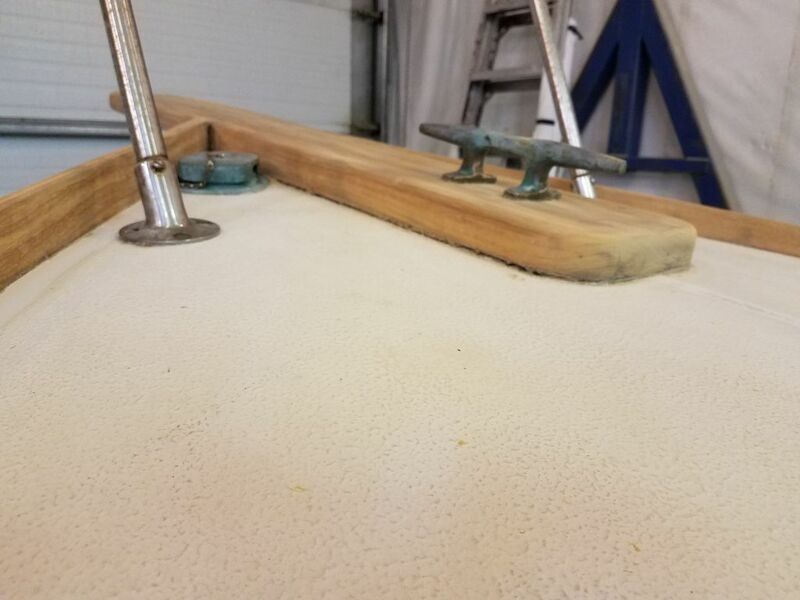 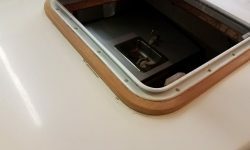 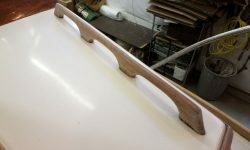 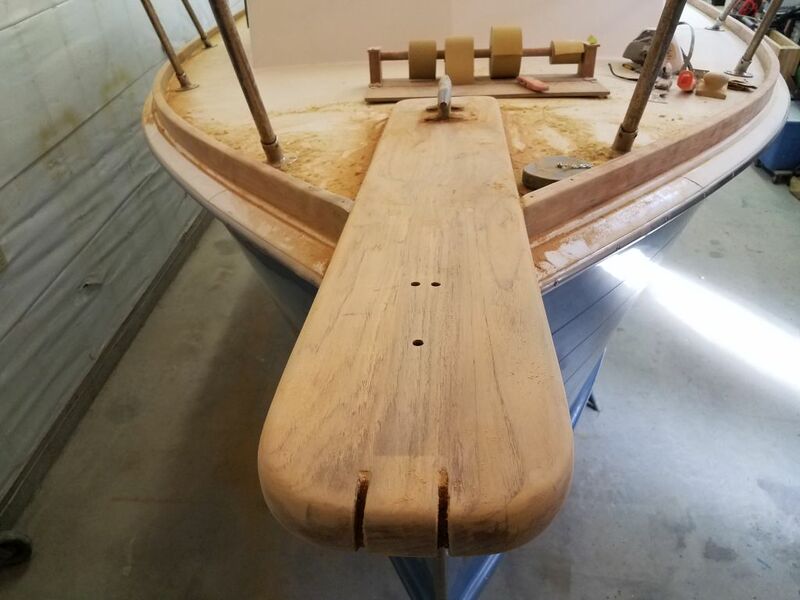 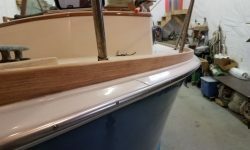 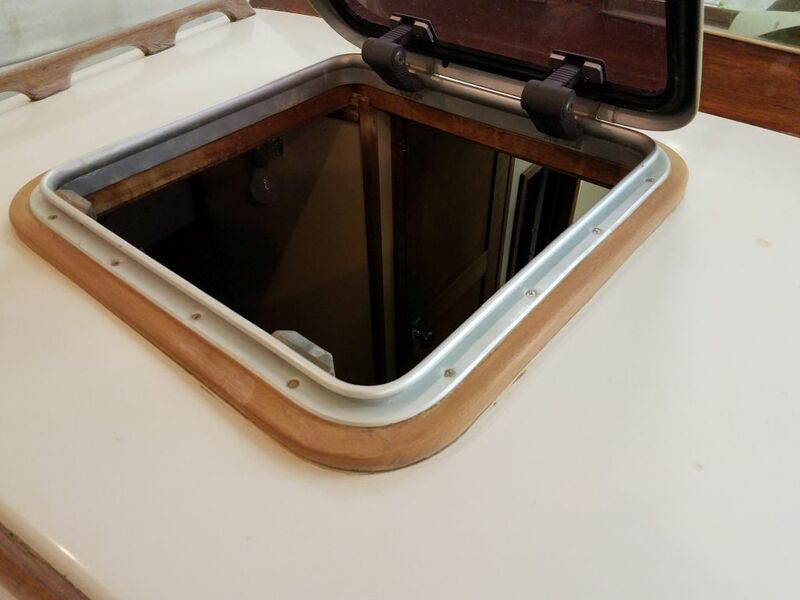 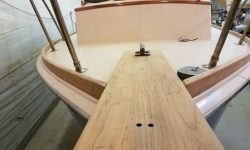 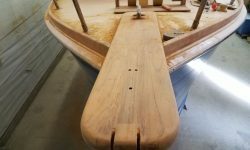 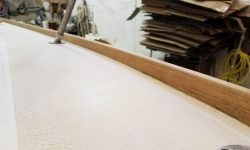 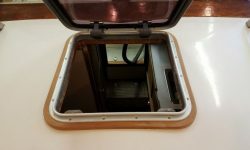 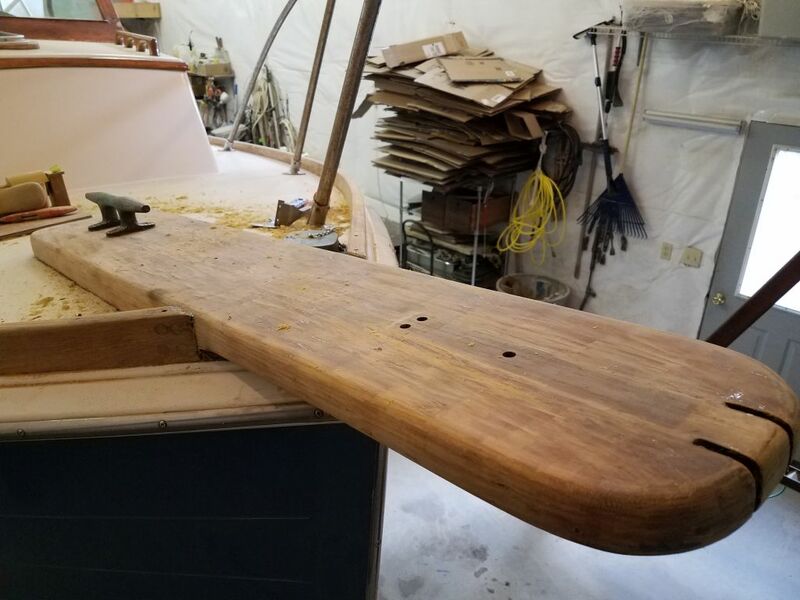 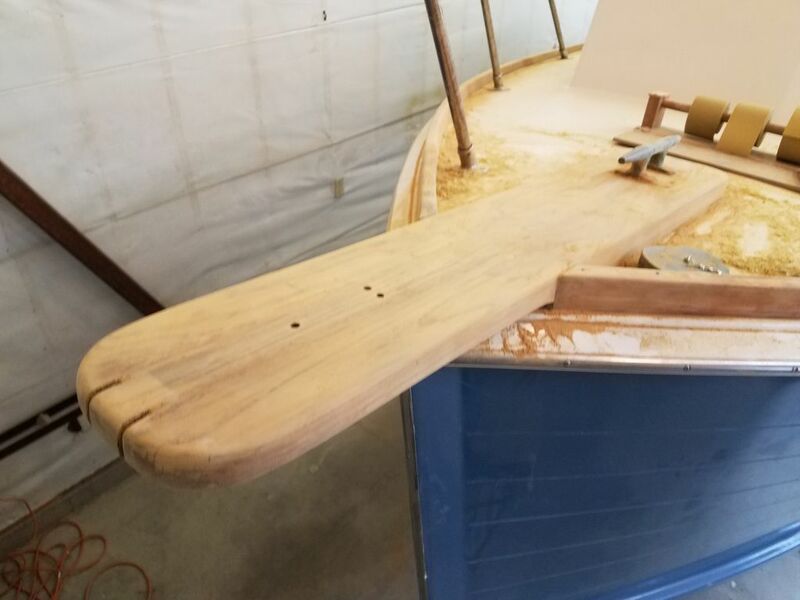 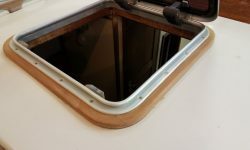 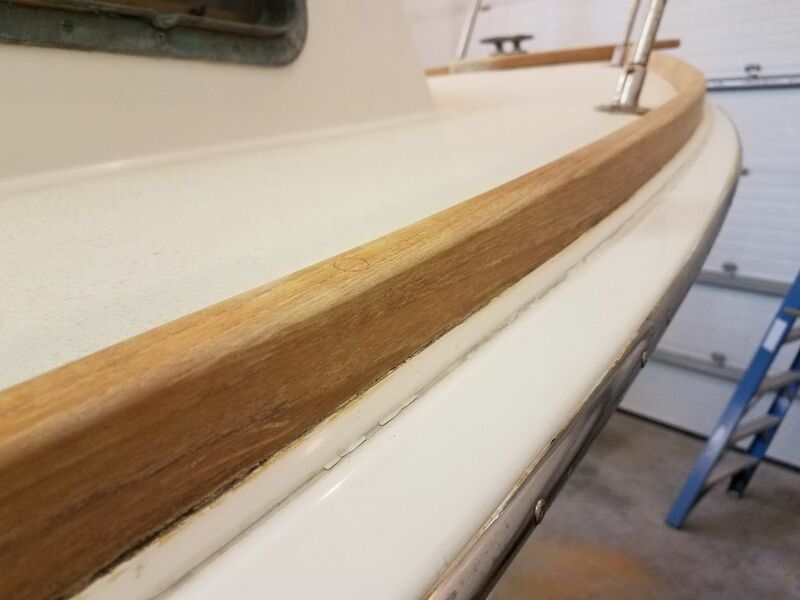 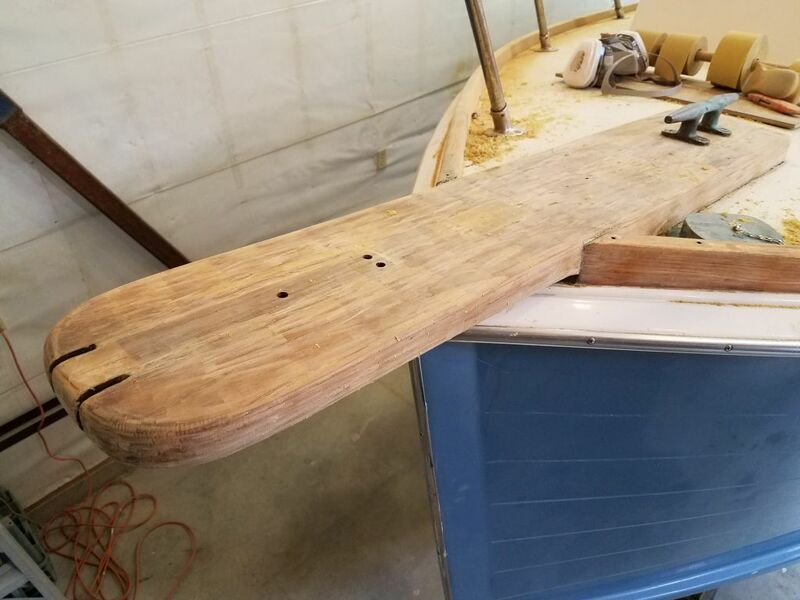 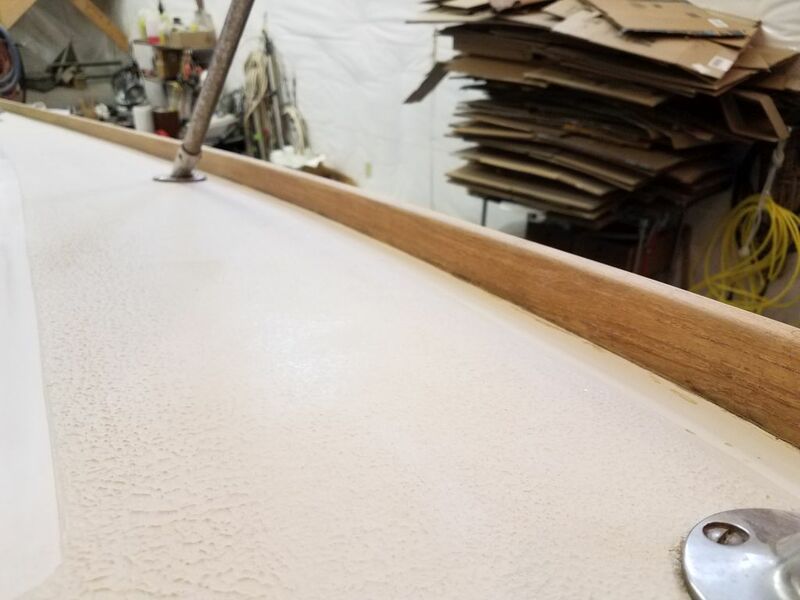 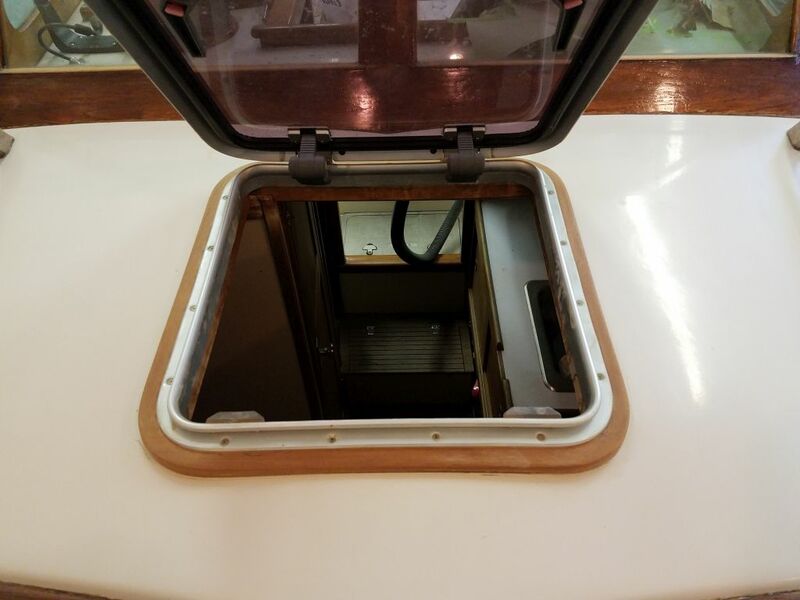 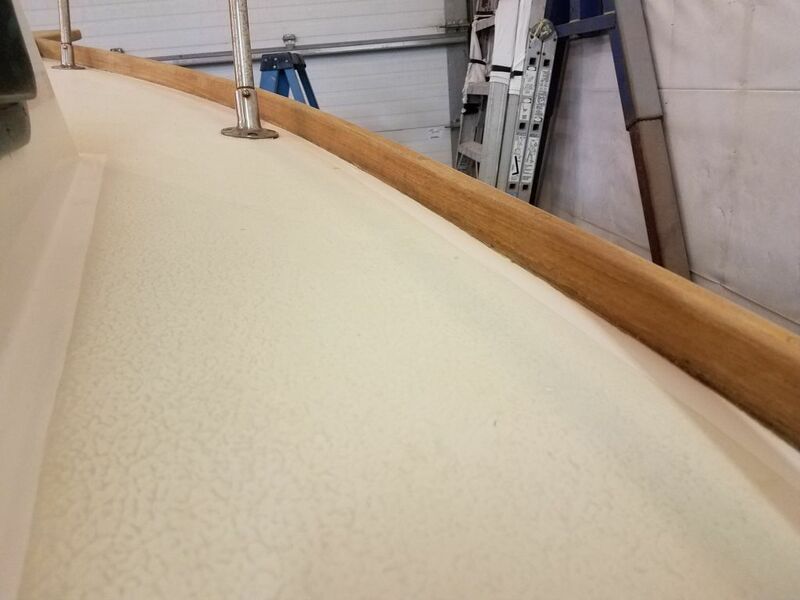 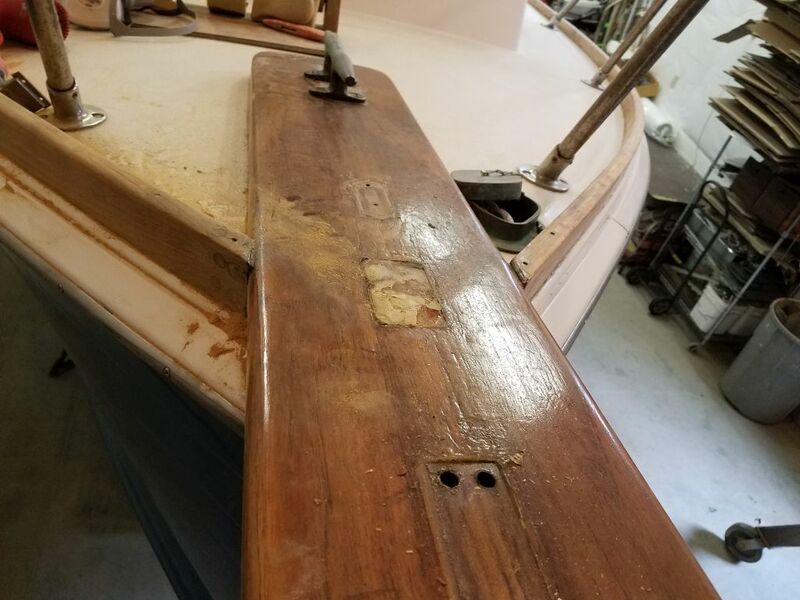 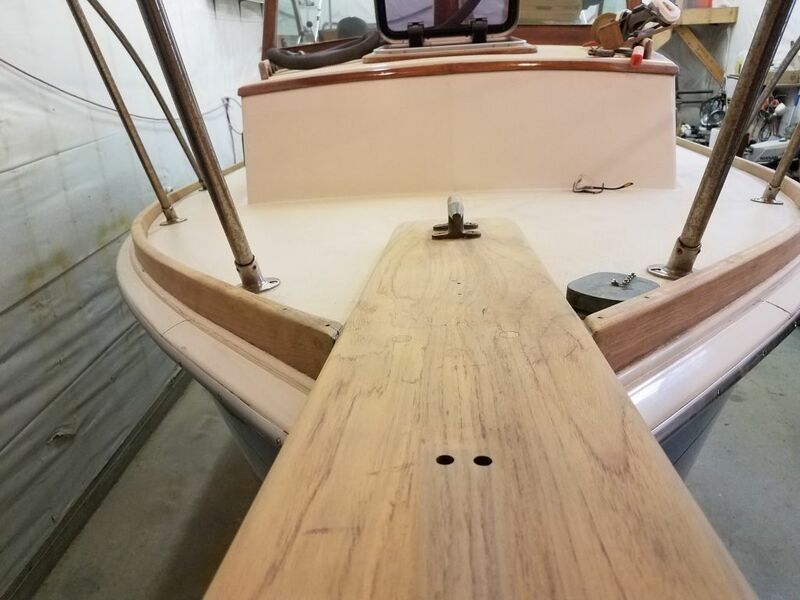 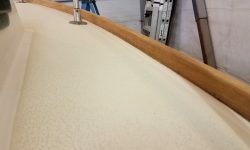 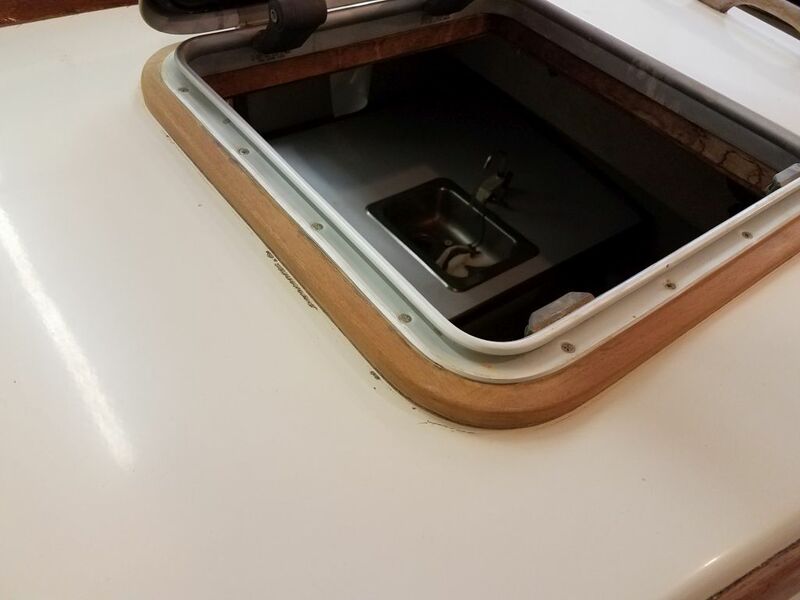 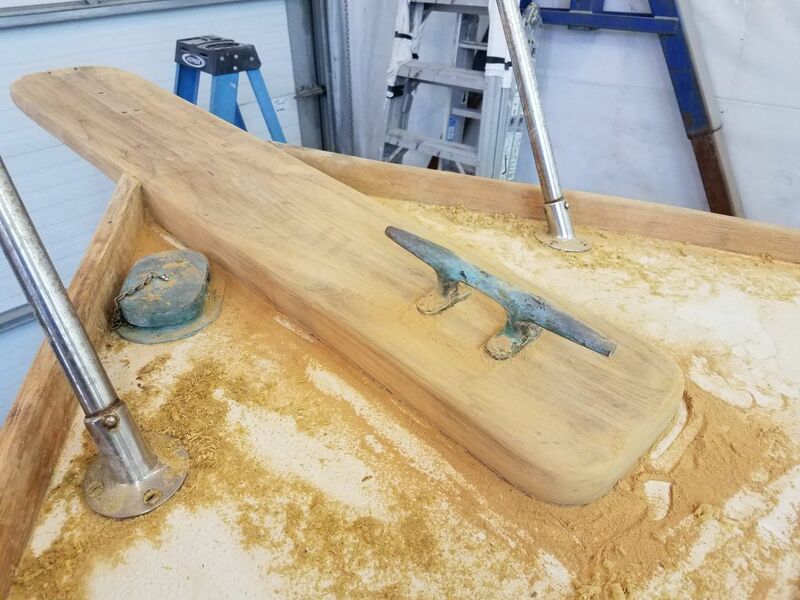 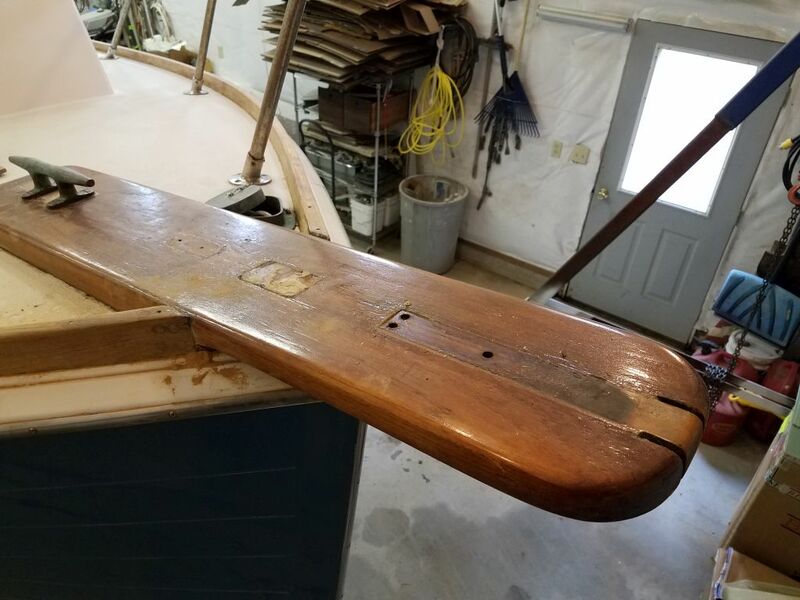 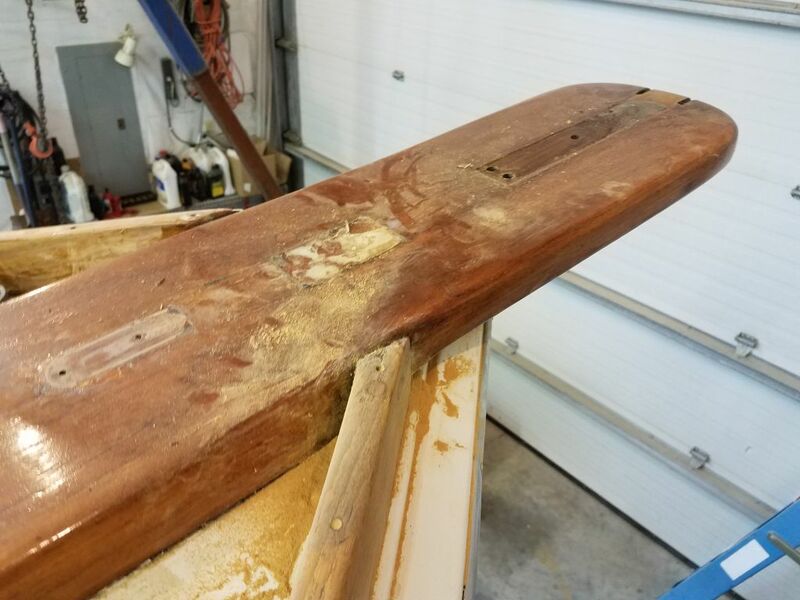 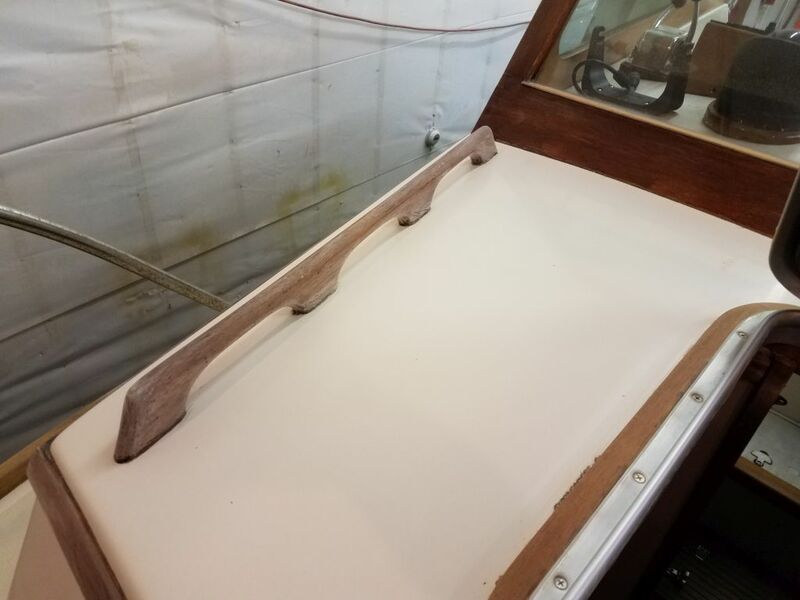 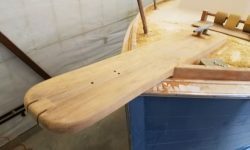 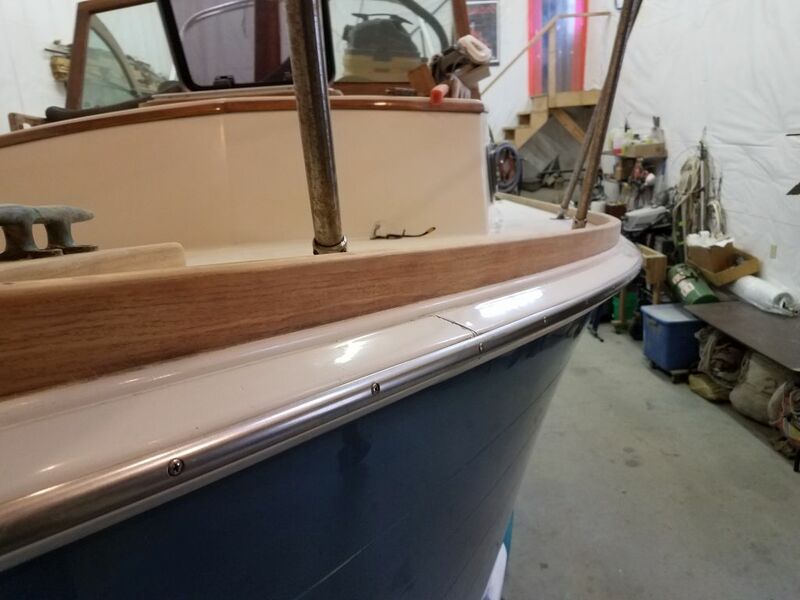 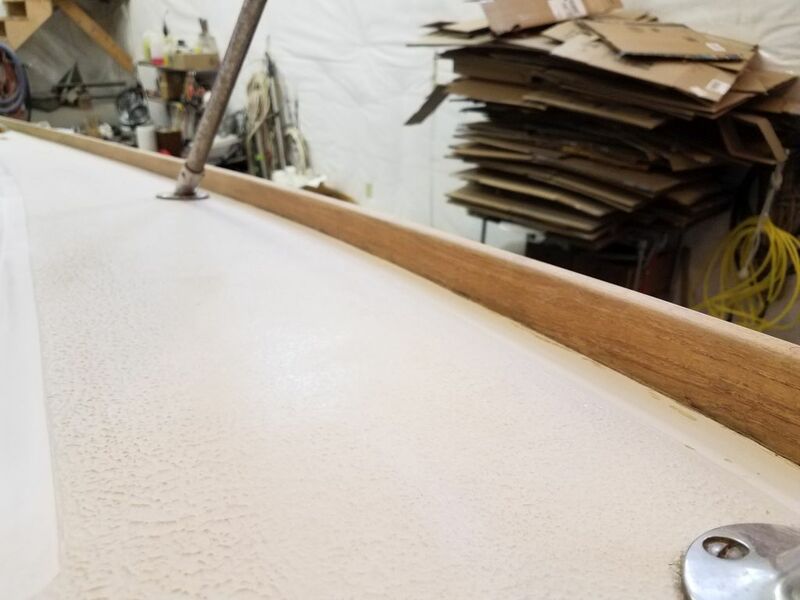 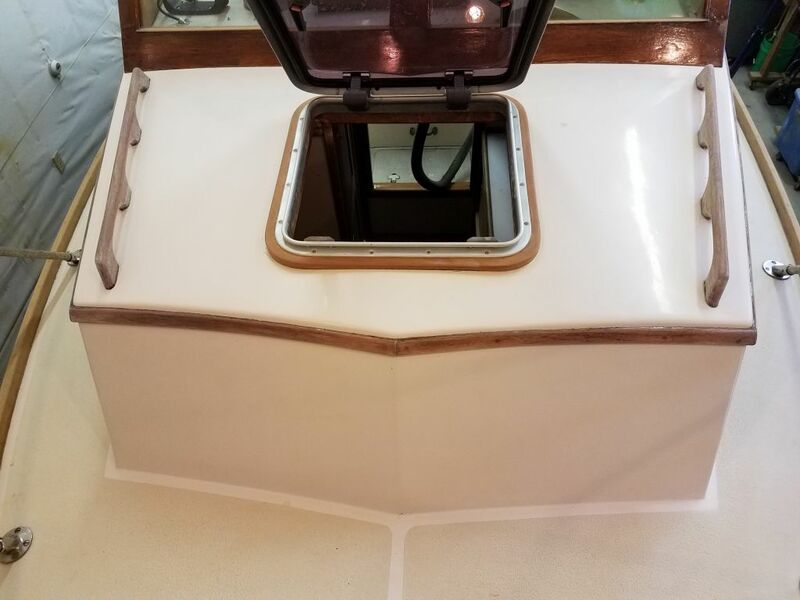 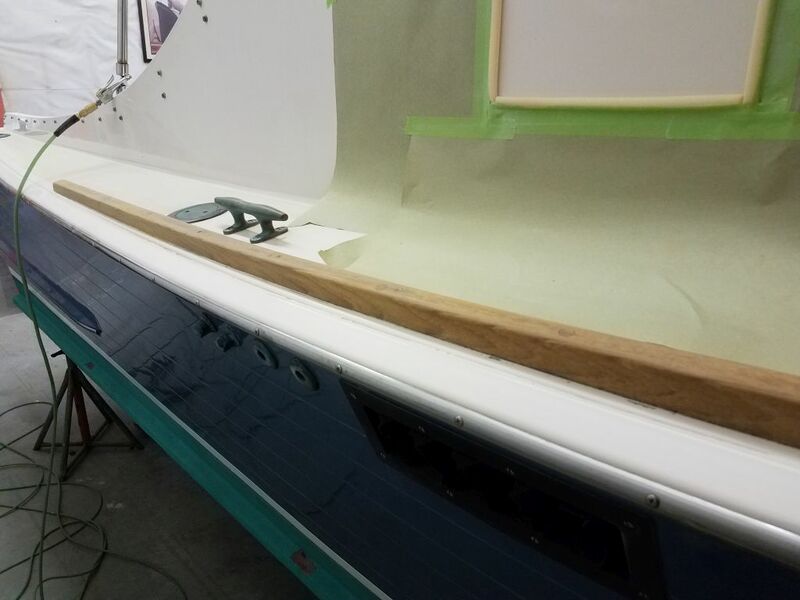 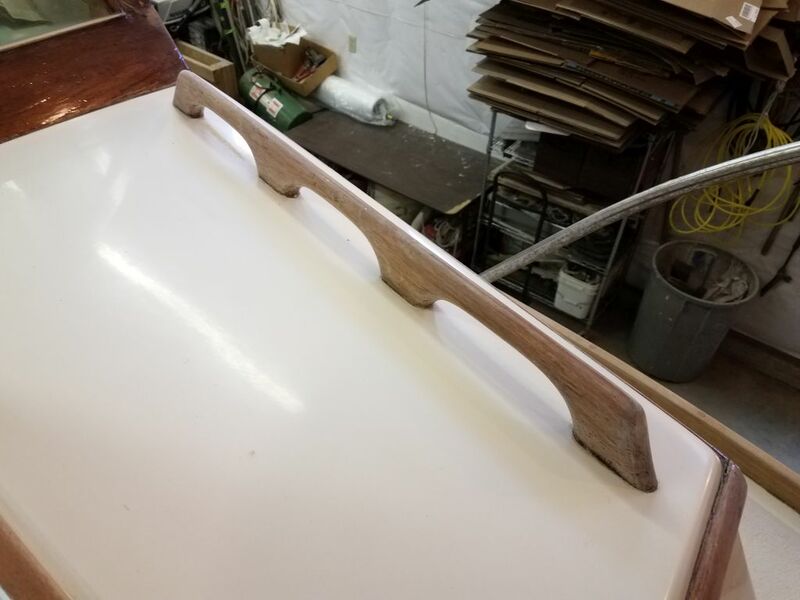 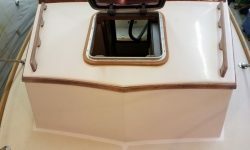 Next, I sanded the newly-stripped forward hatch surround, and lightly sanded other areas at the forward end of the cabin trunk, including the eyebrows and handrails to smooth the existing coatings and prepare these areas for the varnish ahead.